Alright, so the date is set and the church ceremony is booked. What is the next thing on your to-do list? You are going off a list you made of a thousand things that need to be booked and taken care of within the next few months. As you run by your list, you see yourself adding on a few more purchases and some major details that you would like to add at the reception hall, you have now surpassed your budget limit you initially agreed to work around with your husband to be. The twenty thousand dollar budget you were initially supposed to work with has failed and does not exist anymore. Well let me help you with a few helpful hints that will help you save and stay within your budget no matter what. At the end of the night you want all your guests satisfied, but at the end you and your soulmate also want to be debt free. Weddings can get quite expensive, but if you shop smart, your wedding will be cheaper and you will be happy at the end with the final outcome. 1-Wedding Hall/Reception- When looking for a hall try booking a community centre, they are cheap. With this in mind you will have to book your own caterer which is fine. They are not as expensive. Depending on the selection of menu you and your fiancé will decide, it will vary, but on average you will be paying between $40-$65 per plate per person. Now those are huge potential savings. Regular convention centers or halls will charge between $90-$120 per plate, that’s dreadful and disgusting! Plus catered food in my opinion is always freshly made and never frozen; it will be the talk of the night! 2- Wedding Invitations– Purchase the premade blank cards and invitations either online or at a local crafts or office supplies store. These packages always come with Do-it-yourself instructions and templates for printer ready printing at home. They are much cheaper to do it yourself, yet a bit time consuming. At the end they look just as beautiful as pre-made invitations from a professional printing store. Your guests will be astonished at how beautiful they are. You will be grateful at how much you just saved! 3-Wedding Gown– Do not go into one of those expensive wedding boutiques to purchase your wedding dress. 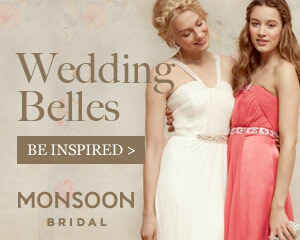 Do some research and check out a small wedding store that carries dresses from the previous year. The style from the previous year hasn’t really changed and so the dress can be priced really cheap! 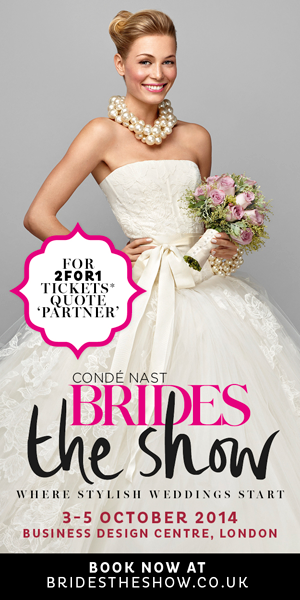 It’s a type of store where you can find your perfect wedding dress and take home the same day! No need to wait a few months. 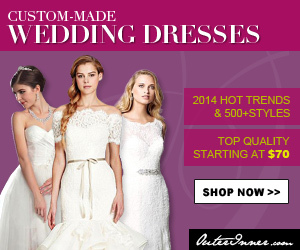 You can find your perfect wedding dress between $250-$500 dollars. Believe my words. What’s the point of paying so much for a wedding dress, of course you want to look beautiful, but at the end is it worth spending thousands of dollars for just one night? 4-Grooms Tuxedos- Rent them, you will save more when doing so. Minimum $90 will get your Groom and his grooms men their entire outfit. This includes their suit, tie, dress shirt and shoes! 5-Wedding bands- Purchase both bands under $1000 dollars. It’s not the amount you spend on your wedding bands that will have your guests say wow! It’s the moment you both say I DO! In front of all your guests. These days it is very modern to spend thousands of dollars on purchases like wedding bands. But what it the point of spending so much? Is it to show off? Or is it much better to show off how perfect you significant other is to you without the high cost of debt afterwards? The same goes for engagement rings. You shouldn’t spend more than you can afford. In fact, here’s a great resource that teaches you how to analyze diamond prices and make comparisons the right way. 6-Hair/Makeup- Find someone that does it from home. At beauty salons it is way too expensive. They do just as great of a job for a whole lot cheaper. I remember I got my hear and make-up done for $60 total! Now that’s a deal. 7- Bonbonaires- Think of something unique and inexpensive. Make a CD of the bride’s and grooms favourite songs. It will be a great keepsake. Now my list can go on forever. I love talking about wedding savings, and love to help out friends who need advice on how to save. These days weddings need to be so top notch and perfect with all this detail in decorations, expensive rings and all. In my opinion you want the quests to be happy, be served great food, dance to fun music and you want to make sure you have enough alcohol. But, most importantly it’s the bride and groom that need to be satisfied and happy not only on their wedding day, but for the remainder of their entire lives with each other and with no wedding debt. 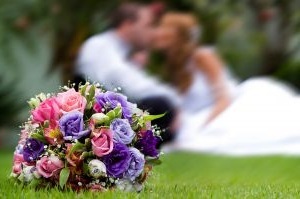 We would love to hear from you and your thoughts on budgeting for a wedding.